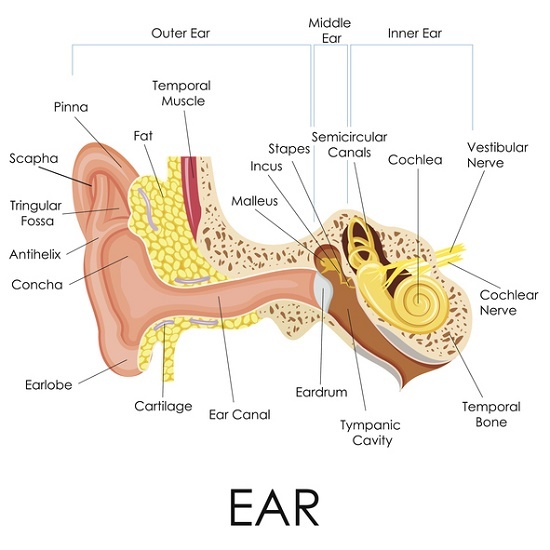 BPPV involves dizziness related to a collection of calcium carbonates crystals, or “ear rocks,” that form inside the inner ear. The medical name for these crystals is otoconia. Benign paroxysmal positional vertigo can heal without intervention, but there are treatment options available including head exercises designed to move the crystals out of the inner ear structures. Drug therapy is also sometimes used and, occasionally, surgery. Labyrinthitis is a condition that involves swelling and/or irritation that affects the inner ear and hearing nerves – usually related to a viral, or less commonly, a bacterial, infection. This inflammation interrupts the transmission of sensory information to the brain, causing difficulties with balance, hearing, and even vision. The cause of Ménière’s disease is not fully known but it may be be a combination of several factors, including poor fluid drainage of the inner ear, unusual immune response, viral infection, genetic predisposition, and head injury. An acoustic neuroma is a benign tumor of the hearing and balance nerves that disrupts the transmission of hearing and balance data to the brain. Although this tumor does not spread to other organs, it can become large enough to cause hearing loss and balance problems.